Germany-Nazi 1889-1945 Reichskanzler Adolf Hitler and the Nazi regime of 20th century Austro-Germany. Surya in 7th-from-Chandra shows the willful and wealth-oriented life-partner-1. Despite her valuable financial subsidies to Steiner's lifestyle, wife-1 remained independent of the squabbling intrigues of Steiner's community. Many adherents of Steiner's teachings did not acknowledge that Steiner had a first marriage 1899-1911. They recognized only his more public second marriage from 1914. Steiner married twice. His first wife was elder to him (Zukra-Makara). 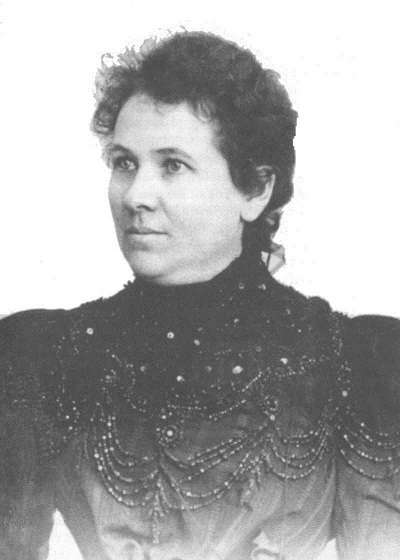 She had been and continued to be his landlady, and also she served as his financial supporter, funding his literary magazine and providing assets such as food (2). 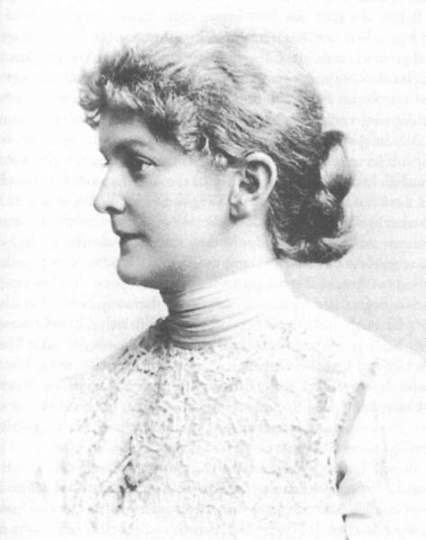 After their 1911 divorce, followed by Eunicke's decease, Steiner remarried to a literary colleague Marie von Sivers in 1914. 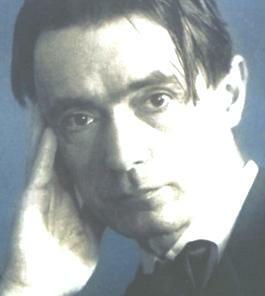 After Rudolf Steiner's own decease, Mrs. von Sivers-Steiner continued to develop his writings, drawings, and lecture notes, making these philosophical assets available worldwide (9). Typically the Chandra-Shani pair indicates a mother who has been traumatized in her own life and who responds with a fiercely punitive, materialistic (Shani) survival fear. This yoga often signals a forbidding, stiff mother who prioritizes social protocol and public decorum; while she is generally unable to provide unconditional affection. Having been accused of impropriety, his parents may have been extra-strict to ensure that their fragile dignity would not be violated by anyone ever again, including their children. Meena nichha-Budha-3= intuitive interpretation-translation. speaking (not always logically) upon worldly and otherworldly topics of meditation-mentality, activities within sanctuary (Meena), narratives of astral, spiritual guidance and philosophical doctrine. Nichha-Budha blessed by inclusive ray of Guru also grants ability to discuss impolite topics such as severe social conflict, racism, exploitation, and disease. Nichha Budha receiving the expansive philosophical drishti of uttama-Guru-7 indicating that what Steiner had to say was abundantly generous as a paradigm of higher belief (Guru). Yet due to nichha-Budha-3 his message is generally not effectively explained and generally not well understood. 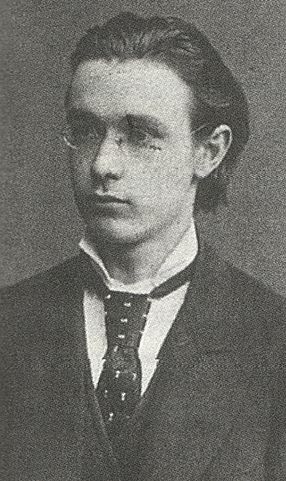 Ultimately Steiner is best known for his techniques of non-verbal (astral) communication such as music, images, and dreams' in particular, communication with the deceased and ability to interpret signals emitting from astral conditions (Meena). These signals are non-linear and interpreting them requires a certain gift of autism. 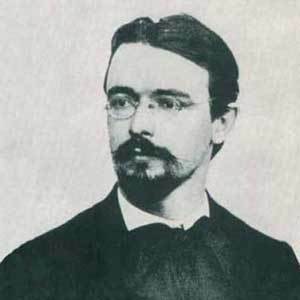 In 1912 during Rahu-Budha bhukti, Steiner quickly broke relations (6) with the German Theosophical Society, taking a majority of German-speaking adherents with him. 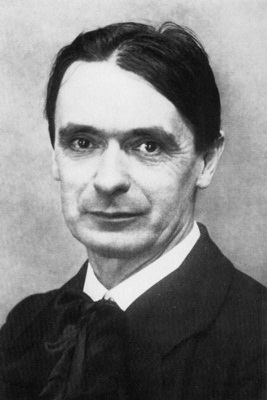 Knowledge of Higher Worlds 1861-1925 Rudolf Steiner wrote specific governance policy recommendations for reforming culture and creating social legislation. He wrote the popular book Social Renewal during the catastrophic collapse of the German economy after WW-1. The Nazi government however resented its suggestions and Steiner became a target. Guru owns bhava-3 containing nichha-Budha and Guru-7-uttama indicates many partners who hold exalted philosophical view. 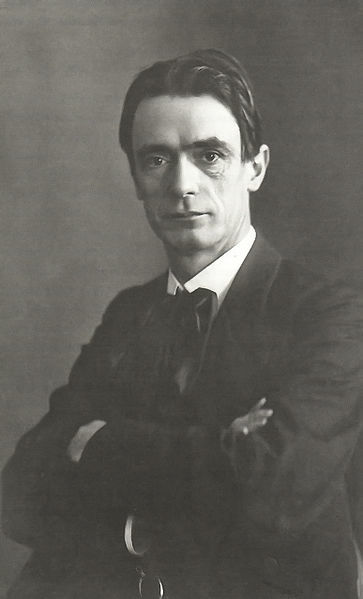 The great majority of Knowledge of Higher Worlds 1861-1925 Rudolf Steiner's books are transcripts of his lectures which were carefully written, edited, and published by his devotees. Steiner wrote very little himself. Steiner is often seen as a martyr of the viciously dehumanizing Nazi regime. His opposition to the evils of the Orion (Ayran) empire arose clearly at the beginning of his Rahu Mahadasha age 42 and Steiner persisted in denouncing the evil ones throughout the 18 years of Rahu. Over-reaching Rahu Dhanushya-12 in 6/8 from risk-rewarding Rahu's ruler is super-expanded via uttama-Guru in bhava-7 and owing to the imbalance from ruler Brihaspati this Rahu is prone to engage in ideological conflict with foreign agents. The results of risk-rewarding Rahu's overextension from philosophy (Dhanuzya) into politics (Simha-8) may be philosophically (Guru) beneficial. Yet Rahu Dhanushya in the unbalanced shad-ashtaka 6/8 angle from His Professor Guru caused Steiner to take the risk of speaking out against injustice. By the onset of Guru Mahadasha, his age 60, Steiner had been working against the Orion forces for nearly 20 years and was psychically exhausted (Rahu-12). Only a few years later, his fleshbody expired. During Rahu-Ketu bhukti in 1913, there was a major schism (Ketu) in the Theosophical Society that caused widespread dispersal of the previously unified European membership. After realizing that the rift (Ketu) cannot be mended, Steiner takes most of the German-speaking members with him into a new Anthroposophy sect (Ketu sectioning, separations).